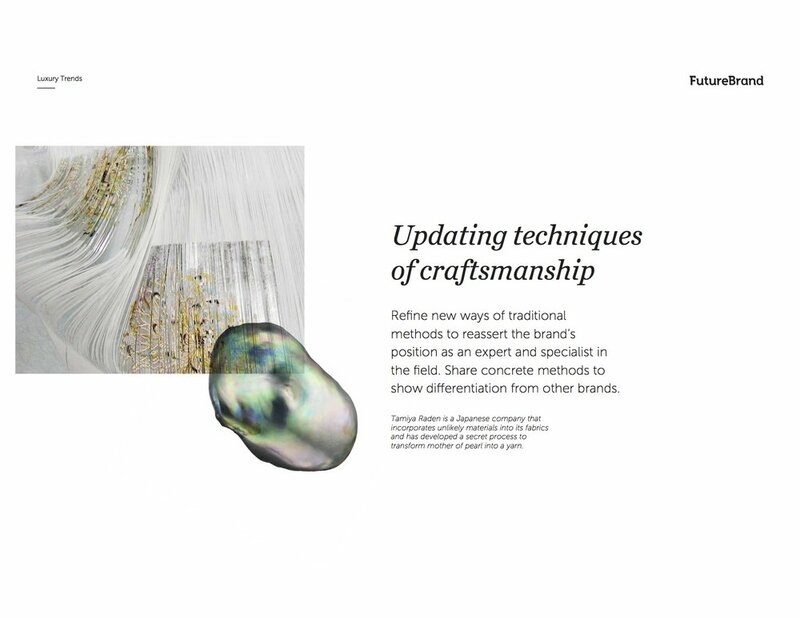 Develop a brand identity, positioning and naming for a new luxury jewelry brand, starting from "Crafting Kenya", the client's original project detailing a photographic journey of Kenyan craft techniques. 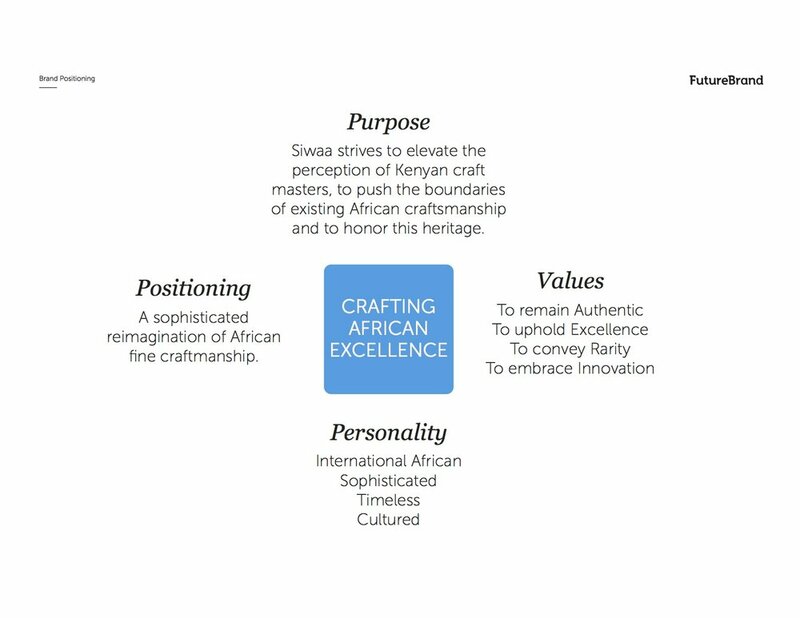 Performed extensive research on both the new definition of luxury and did a deep competitive analysis in the high end jewelry space, as well as ran workshops with the client to understand how to evolve Crafting Kenya into a luxury brand. NAMING: Brands are using conceptual or foreign language inspired names to evoke an aura of mystery and inspiration. Or they simply use the designer's name for concise impact. By choosing words that ignite the consumer’s sense of dreaming and aspiration, brands are able to achieve more luxury based positioning. POSITIONING: Brands tease a lifestyle for the consumer to reach for while emphasizing a few key brand values. Consumers are attracted to the philosophy behind the brand and strive to attain it. 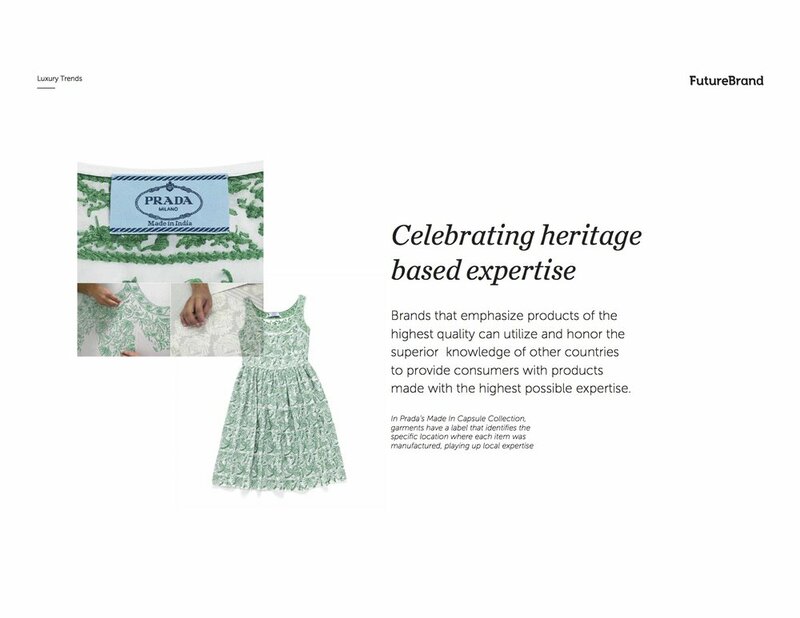 Other brands frame their products through the lens of storytelling (naming, materials, sourcing) for consumers to connect with the product and ultimately the brand itself. 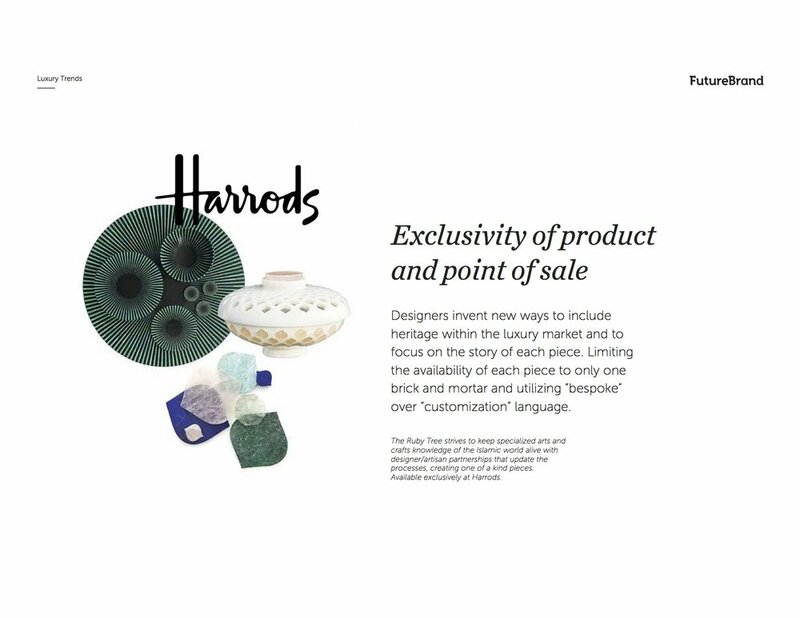 VISUAL LANGUAGE: Many brands put the product in the spotlight with minimal and iconic motifs to increase impact and memorability in the consumer’s mind. **Note that the following are sample slides and the full competitive set has not been included for space purposes. We proposed the name SIWAA for the new brand. 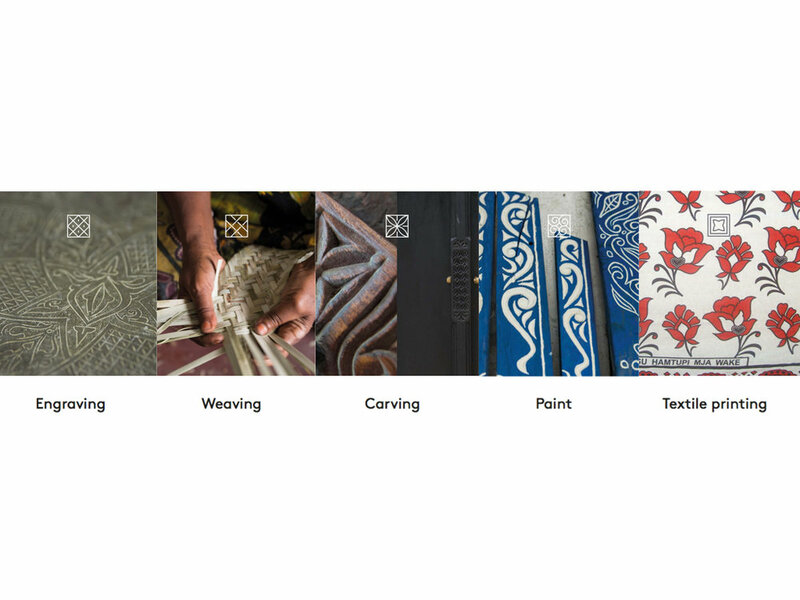 Based on our research and key learnings, we wanted to create a personal and evocative connection behind the brand name that would capture the Kenyan essence of the brand's origins but leave the company open to future expansions that might include craftsman techniques and artist collaborations beyond just Kenya. Inspired by our client' own her personal nickname, Siwa, the name also paid homage to the name of the ceremonial horn of Lamu island, a famous island off the coast of Kenya. The brass or ivory horn dates back to the late 17th or early 18th century and was blown to announce special events of the local royal family, aiding in the brand's desired luxury positioning. After performing workshops with our client to understand the most important values of the new brand, the new positioning stemmed from the Brand Plus model, which served to organize and guide all aspects of the new brand. For the globally minded design connoisseur, Siwaa is the new authority on African fine craftsmanship in the high-end design market. Collaborated with designers and wrote the introduction for each of the following creative routes to capture our client's imagination prior to introducing packaging, website design and brochure mockups (not shown).